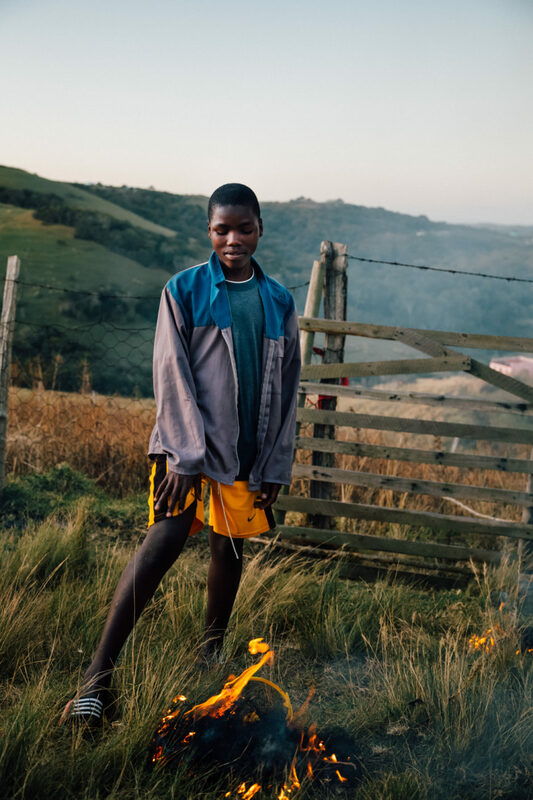 The people in the photographs below are from a remote region known as the Transkei, in South Africa’s Eastern Cape province. This region and its people have become ingrained in my memory. Philip Nix is landscape photographer born in Savannah. Now based in New York City, Nix has shot in Iceland, Asia, and South Africa. Find more of Nix’s work @thenaturistman. 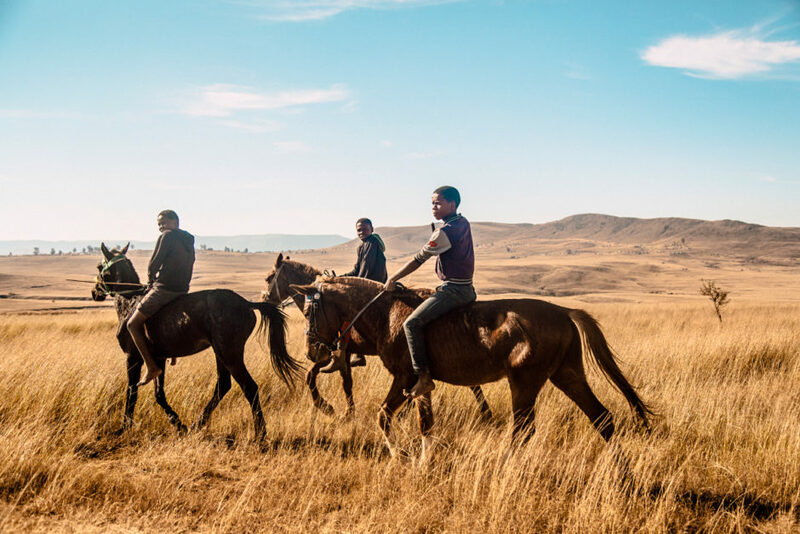 The Transkei region, formerly a semi-autonomous republic under South Africa’s apartheid, is home to the majority of South Africa’s Xhosa people, an ethnic group that includes such figures as Nelson Mandela and Desmond Tutu. 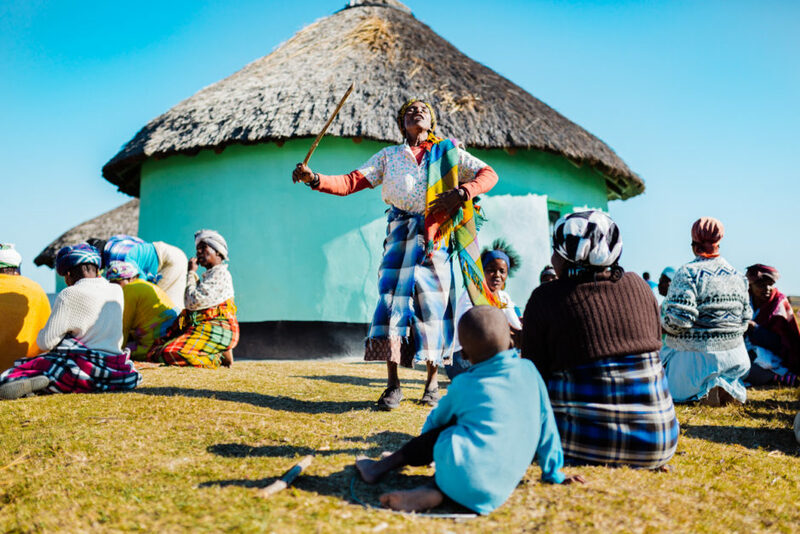 Because of its history of relative isolation, traditional Xhosa culture has remained vibrant and strong, with traditions such as this coming-of-age ceremony, known as the Ulwaluko, taking place in the outlying villages. These boys danced and chanted in circles around the hut, kicking up dust and revealing with youthful energy -- it was in this moment that the boy in the light paused to give a look to my lens. These young boys proudly rode their trusty steeds across the ochre-hued plains. It was during the winter months, so the days were mild and pleasant, and the nights cold with clear skies. While supermarkets and sports cars are increasingly common in this region, most people continue to live off of the land and their farms as they have for decades, so horses remain an easy way of traveling. 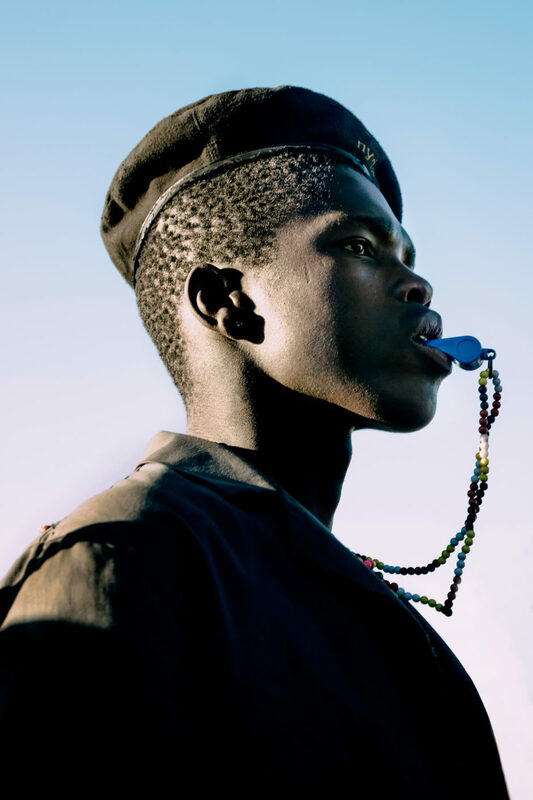 Here a young Xhosa man, dressed up and whistling in celebration, pauses for a moment of seeming reflection. 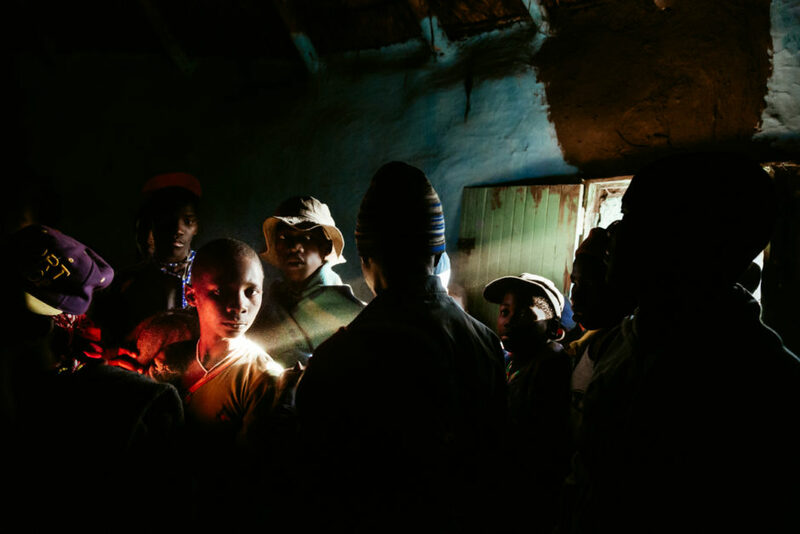 After many days of celebration with the other boys of Mhlahlana village, the air was thick with sweat, campfire smoke, and the claps and chants of everyone involved. This Xhosa mama, walking along a gravel backroad in a remote tribal region, stopped to pose with her handcrafted pipe and walking stick. After I took this photograph she was eager to show me the contents of her seemingly traditional necklace -- her smartphone. On this morning the red streaks of dawn awoke us. 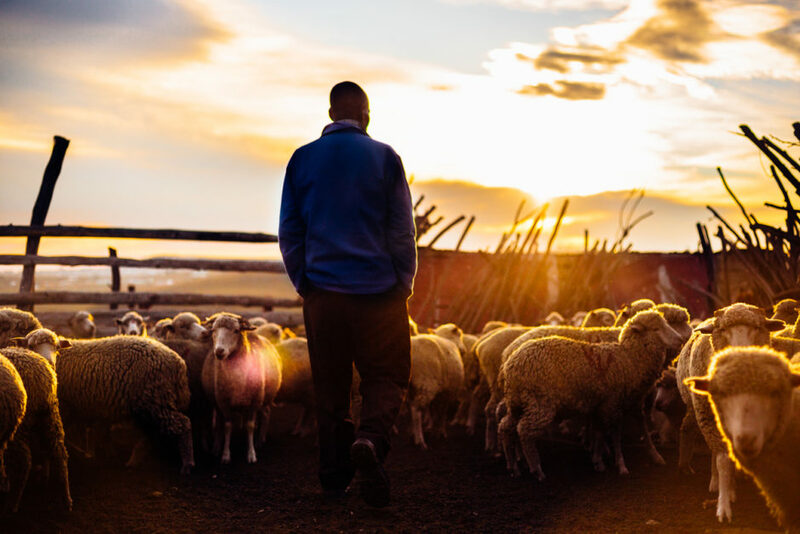 As the air turned from a cold chill to a mild breeze, the elder of the mountain-top village of Zabasa tended to his sheep herd early at sunrise. His face was heavy with the stress of responsibility, seemingly overwhelmed that it was he who was in charge of the well-being of not just his livestock, but his family as well. Like many people in this region, he had no corporate job but instead worked as a subsistence farmer, providing for his family by the fruits of their land and labor. Captured here during a beautiful South African sunset, Zuko is a Transkei native and medical student I had the great fortune of traveling and becoming friends with. He was born in the small town of Willowvale, studied abroad in Europe, and now lives and studies in the coastal, Miami-esque city of Durban. 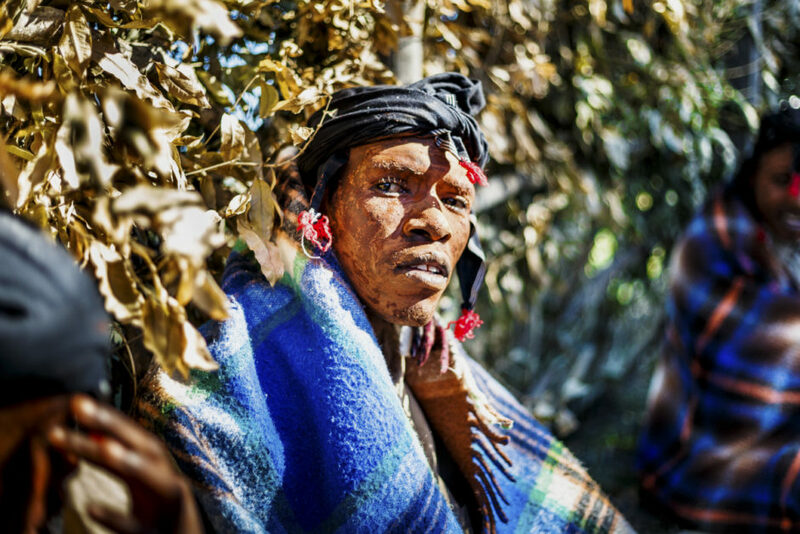 His insights into Xhosa culture and his ability to translate and help me communicate with the locals was invaluable -- without him, I would have never understood or learned as much as I did about this region’s history, language, and culture. 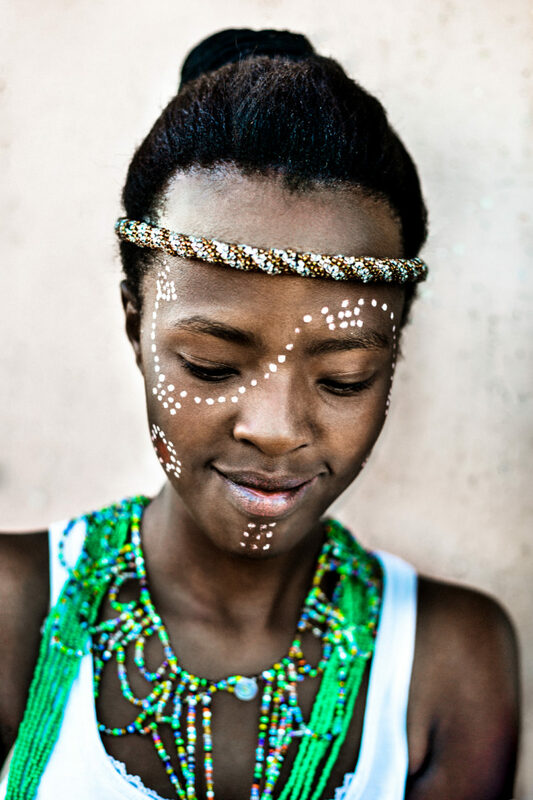 I met this girl at a small roadside village where her grandmother hosted a Xhosa museum for the few visitors who come to the region. Using traditionally colored beads, she and her sisters crafted beautiful jewelry such as the necklaces she wore, which rattled and swung when they danced to the beat of their mother’s cow skin drum. These young boys were undoubtedly some of the most stylish I encountered. 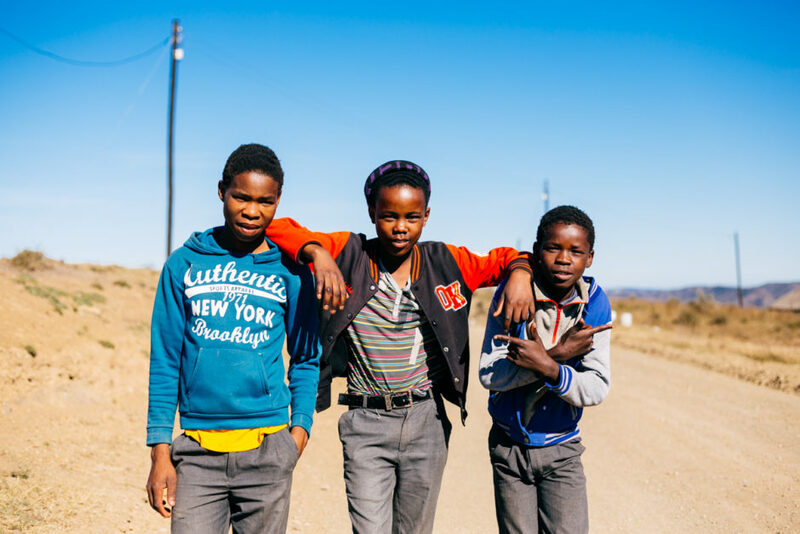 The children in this area are no strangers to walking to and from school, or from village to village, so along the road, they ventured, sporting the finest of Brooklyn, New York apparel and posing like professionals. Though their English was rusty and my Xhosa essentially non-existent, we still managed to share more than a few laughs as we looked at the back of my camera and flipped through the hilariously goofy in-between moments and ghoulish faces we made. I was initially concerned as I approached the bright flames and rising smoke rising from this man’s property -- all of the signs pointed to something disastrous. 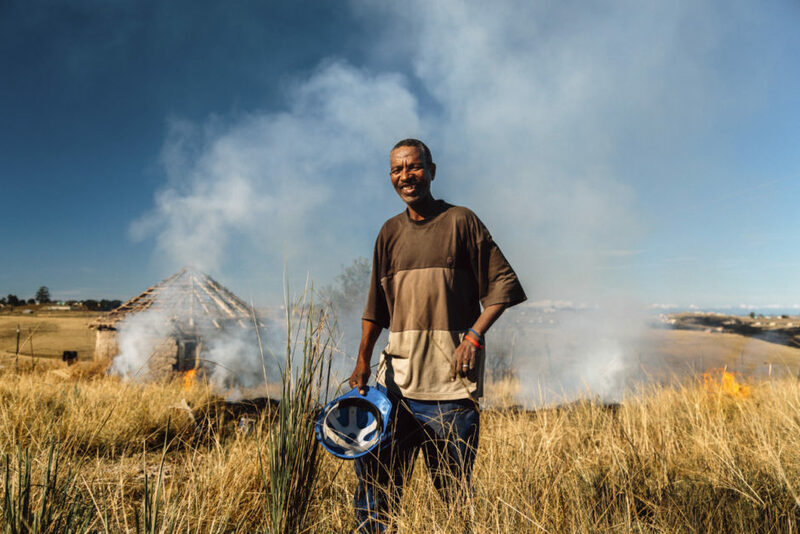 However, this served as yet another learning experience about the climatic conditions of the region, as he explained that this was a safe, controlled burning of the dry, brittle grasslands on his property -- used to protect against the very real threat of winter bushfires. Illuminated by window light, this boy gazed intently into my lens for a brief moment before being distracted by his playmates. Here a local child tends to a small patch of flaming grass surrounding the family farm in an effort to prevent unexpected fires in the coming winter months. While undoubtedly cliched, it was remarkable to see the contentment and happiness with which many of even the most impoverished people approached life in this region. 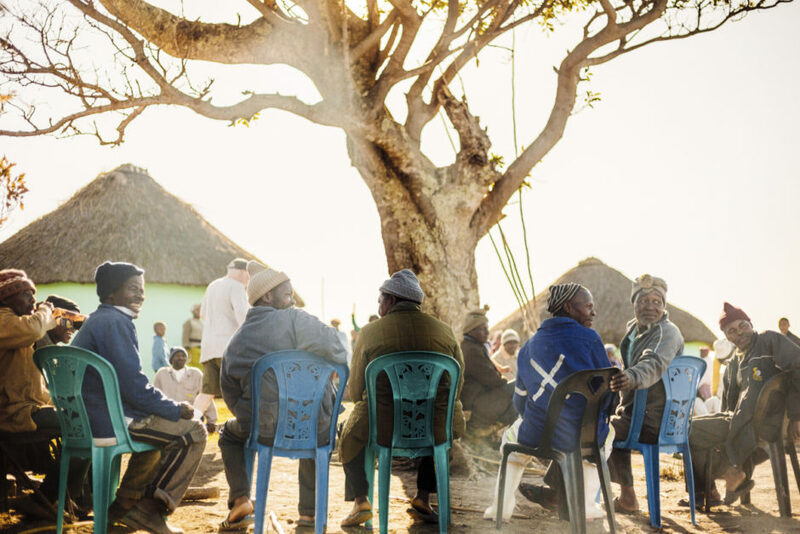 The Xhosa culture instills a sense of community and generosity which I have rarely seen anywhere in the world. And one thing stayed constant with them -- a smile. I found this woman and her fellow ladies pruning the maize fields outside her village. “Molo!” the woman said to me in a Xhosa greeting. “Molo! Unjani,” I replied, trying my very best to use the few words of Xhosa language I had learned along the way, where x’s, q’s, and c’s denote a click of the tongue. Delighted and surprised, she replied “Ndiphilile enkosi, unjani wena?” It’s at this point that I let my friend Zuko do the rest of the talking! This woman may have had a stern consternation as she focused intently on her work, but as soon as her bucket was firmly on the ground her face beamed with smiles and laughter. 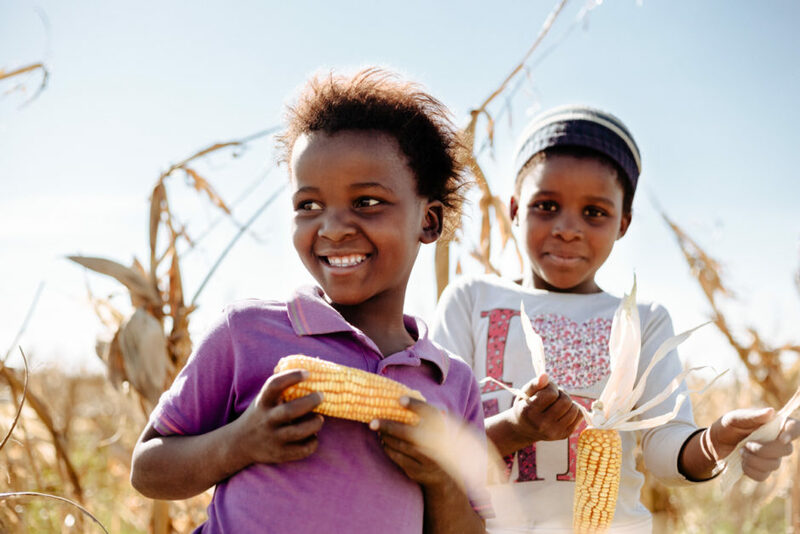 These children helped the grandmothers shuck the hard ears of maize that they would use to grind into cornmeal, a staple ingredient in many Xhosa food and drinks. It was a hot and sunny day, but they enjoyed playing and running around the fields just as much as they did lending a helping hand; children always have their priorities. Here was a boy who was to soon become a man. The Ulwaluko ceremony in which he was participating had been taking place for many weeks by this time. 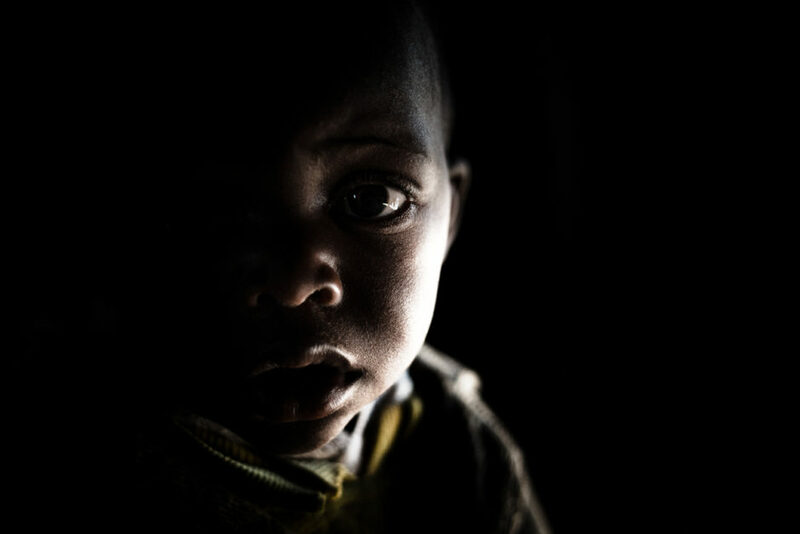 Traditionally, the boy lives in an isolated hut in the wilderness, only being allowed small rations of water and food and gradually learning to survive on his own. After this, he must burn his hut and venture back to his village, where the clan celebrates his passage with many festivals and feasts -- and most unpleasantly, a circumcision. 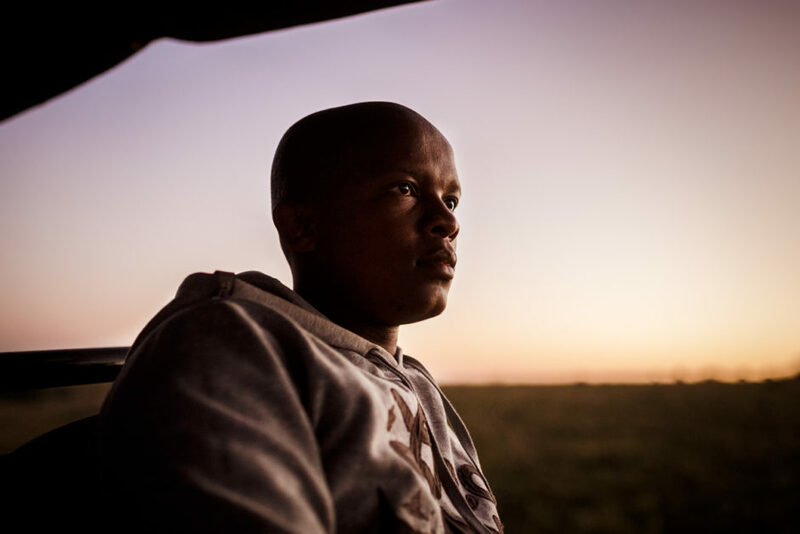 Through these trials, the Xhosa boy learns of his responsibilities and the harshness of adult life -- thus becoming a man. While the young men revealed and exhausted themselves with celebratory dancing and stick fighting at this coastal village, the older men enjoyed life in the shade. 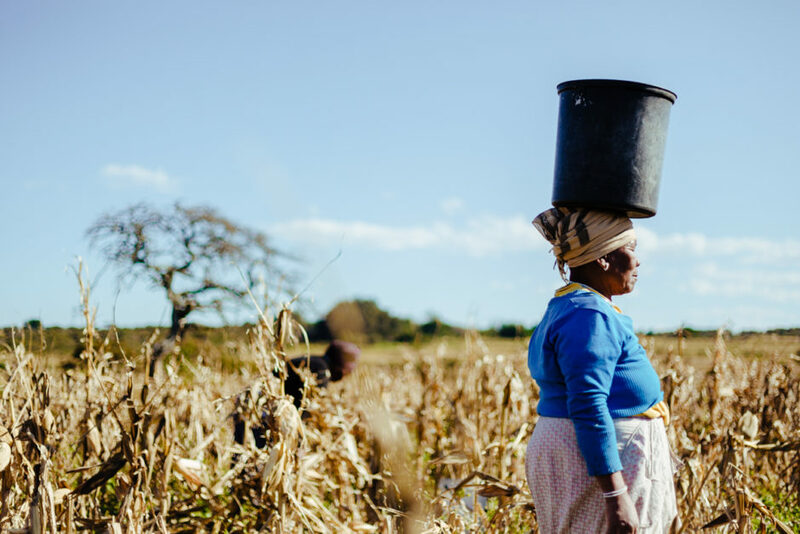 They much preferred to engage in conversation over a ripe barrel of umqombothi, the traditional Xhosa beer, brewed and fermented from maize. The old men chuckled as they handed me a tin barrel full of the milky-white draft, offering me a taste. All in all, it was surprisingly good, though far more sour and tangy than any brew I’ve had before! 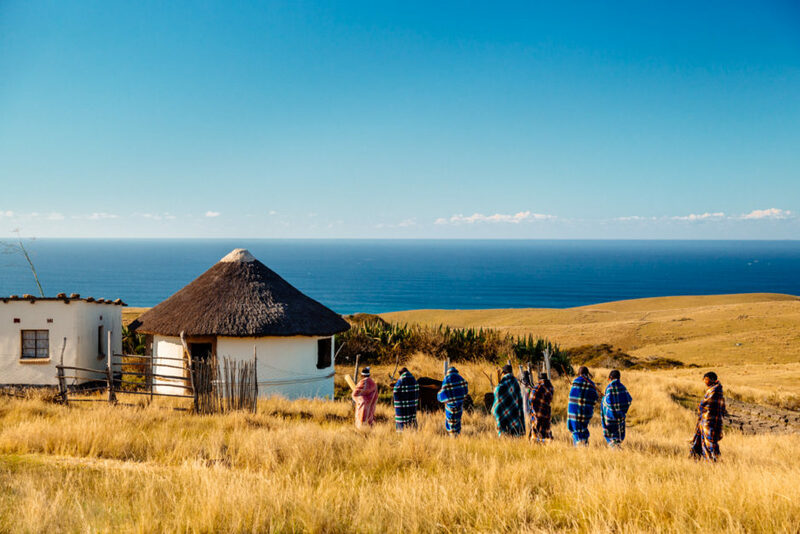 Initiates at the coastal village of Mngcibe proceed to a specially prepared rondavel hut as part of their Ulwaluko initiation. In the distance, the brilliant blue waters of the Indian Ocean were dotted with white plumes from right whales swimming off the coast. 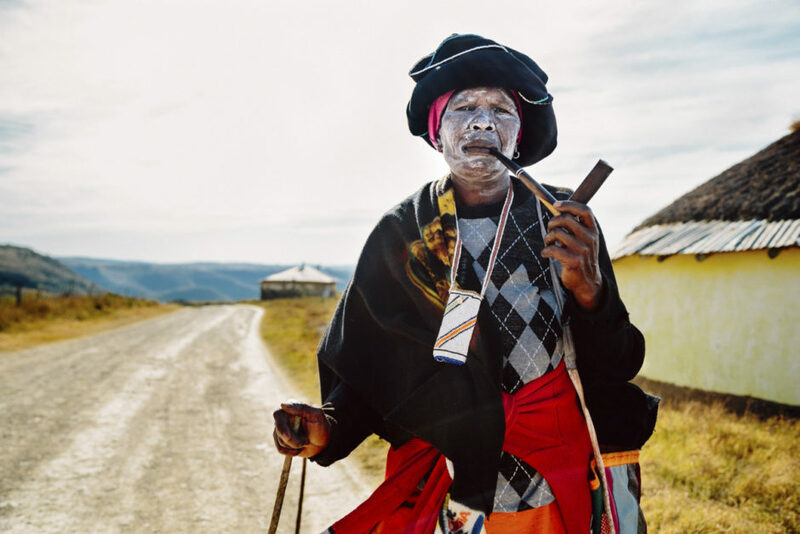 Passing on clan custom and tribal tradition is essential to the Xhosa people, with oral histories and sacred dances being a highlight of many of their major festivals. Despite the hot sunny weather, this mama made sure to put on a show for the youngster at her feet. Siseko, one of the cheeriest and optimistic of people I’ve had the pleasure of meeting, rolls up his pants shortly after taking his first head-first plunge into the waters of the Indian Ocean. 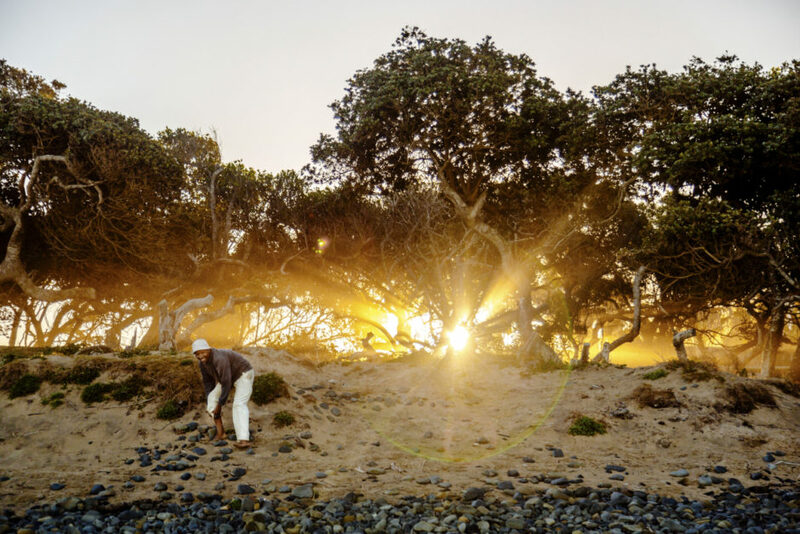 Xhosa folklore tells tales of spirits and mystery living in the ocean, so many people living inland never venture to the beaches of the Eastern Cape. Siseko, however, braved the icy waters and came out yelling in frigid glee, gladly setting foot back on the dry, sandy soil.